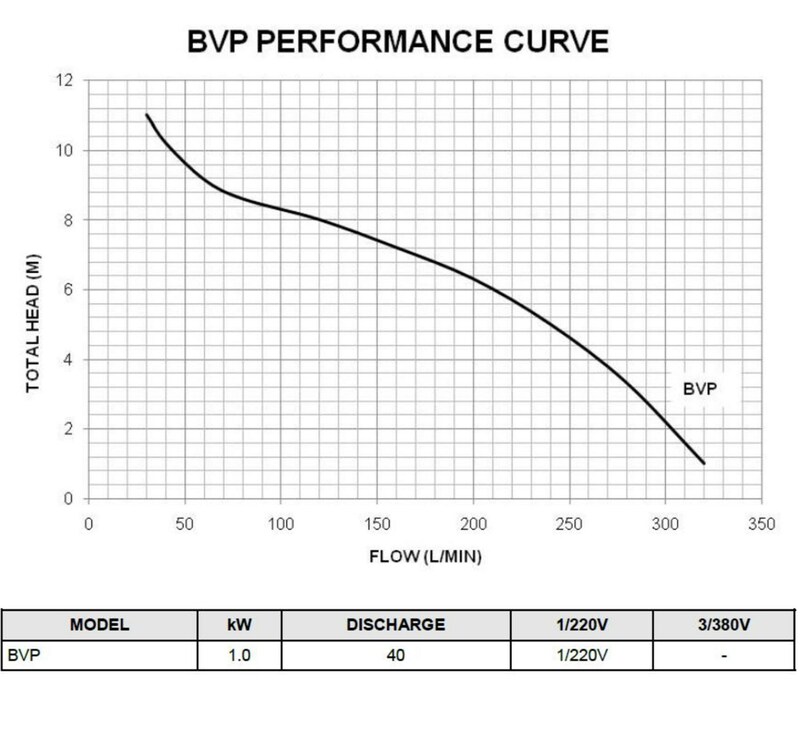 BVP-Dirty Water Submersible Pump 19000L/H 11m max Height. Heavy Duty Pump for drainange. Suitable for solids up to 38mm. Anti Corrosive & Rust proof materials. Motor is fitted with a thermic overload protection.